"Just wanted to brag and say that I am so pleased and would hire Complete Floor Care back again to seal my counter tops." We are offering a 10% discount on all our cleaning services if you call us by April 26th so we can give you a quote. We will never charge you for something that we did not include in our quote. You do not need to have the work done this week to get the discount; just call us and setup an appointment to have the work done with in the next month. Carpet, San Diego Wood Floor Cleaning and La Jolla Stone Floor Cleaning, Tile Floor Cleaning Carlsbad, and Grout has a tendency to absorb spills and stains quite easily, with Complete Floor Care of San Diego deep cleaning process we remove ALL the dirt, stains and bacteria. Our floor cleaning process will make your regular floor cleaning easier and more effective. We are a Environmentally friendly floor cleaning company. 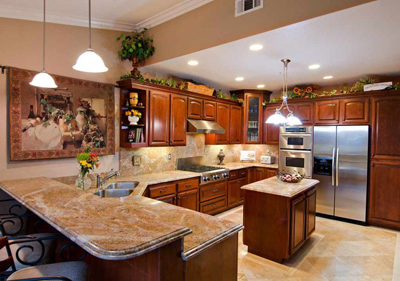 Complete Floor Care San Diego is a certified floor cleaning company. Don Sargent is absolutely fantastic. I have oiled bamboo floors, which are a bit uncommon. I tried to clean them to get my house ready for sale, but I ended up drying out the floors and they looked awful. But Don knew exactly what to do to bring them back to their glory. I was also under a time crunch, and he was able to get it all done in plenty of time. I highly recommend Complete Floor Care for any of your flooring needs. Don is so conscientious, professional, kind, & efficient - - plus his prices are very competitive. If ever I need help with my floors again, Don will be my first call. Don was very knowledgeable and flexible. I called him on Friday and he was able to adjust his schedule and came to my house in the afternoon on Monday after doing a big job all day. On time, more than honest, expierenced, & helpful with how to maintain tile grout in the future. They also charged only for the area cleaned rather the total floor area (areas such as inside closets, under stationary or non-movable furniture, etc., were not included). I had made the mistake of repeatedly polishing my wood floors with a well known polish. Overtime my floors went from shiny to looking dirty. Complete floor care was able to remove the accumulation of wax and bring the floors back to the original condition. Don did a great job polishing the marble counters in my kitchen. They look like new! He, also, cleaned the carpet on our stairs. He is a one-stop shop! Complete Floor Care did an INCREDIBLE job with the tile floors in my kitchen and bathrooms. I wish I had taken a "before" picture to show you how filthy my kitchen tile was. Now it looks like new. They steamed the grease off my kitchen cabinets as well. They also remove the hard water deposits in my toilets. I will definitely use them for my wood floors. Complete Floor Care was here again today and did a wonderful job. Friendly, efficient, effective. Removed a lot of ugly brown and black spots from our upstairs carpets. Gave excellent advice. Don has been here before and has a phenomenal memory for people and their floor care needs. His price is competitive but his approach and results superior. Complete Floor Care was on time. Very professional. Cleaned our travertine. Came out nice and clean. I am happy. Complete Floor Care are true masters when it comes to refinishing floors. My floors are over 28 years old, with a great deal of wear and tear. They where not only quick to respond, he knew exactly what needed to be done. They not only showed up on time, their pricing was more than fair, and he finished the job ahead of schedule. Would be confident to refer him anytime, work ethics like his are hard to find. Complete Floor Care was great. They where on time and were meticulous. They did a super job cleaning my filthy grout and then tackled my bathroom travertine which was scratched pitted and discolored. They spent 10 hours getting it to look exactly the way I wanted it at no extra cost. Incredible job at an incredible price!!!! This review is as good as it gets! Don saved me from a flooring mess. My cleaning lady used a harsh product on my travertine and etched it. It looked horrible with mop tracks embedded in the flooring. Don re-honed the floor and cleaned and sealed it. Now my floor looks better than it did when it was new. I am very happy and plan to call him for carpet cleaning next. He really knows his stuff! You Guys did a GREAT job. We will use your services again. We had two travertine tiled bathrooms (floors, counters, showers) cleaned and sealed. Don was very responsive and did a good job. He even came back a few days later to look at some "pits" that I had found and filled them. He was not the cheapest quote, but he was diligent and thorough. Overall, I was pleased with the experience. Comments: Don was a pleasure to work with. He was kind, professional and efficient. He really was knowledgable, fair and honest. I would definitely call on him again and have no reservations in recommending him to others. Comments: Complete Floor Care did a great job. They were very careful not to damage anything, super clean. My floors looked better then when we first moved in. Money well spent. Recently Complete Floor Care cleaned our home's carpet. It was a pleasant experience. We have had Stanley Steamer do it and not really satisfied. But Don did an outstanding job! My Wife was very happy, and when the Wife is happy, I'm happy. I recommend Complete Floor Care for all your floor cleaning needs! We had the best experience and results with the hardwood floor cleaning and re-oiling services provided by Complete Floor Care. The White French Oak floor throughout our 2 story home in Carlsbad had been horribly abused by our previous tenants and their young children. There were deep stains in many places throughout the house. There was even a deep gauge with a chunk of wood missing in the master bedroom floor! We called Don for an estimate. He arrived on time, inspected all the floors carefully. Then, he took his time to go over with us the work that needed to be done in order to revive our floor. He gave us a clear picture of what to expect and quoted us a very fair price. On the morning of the service, Don arrived at the exact time we agreed upon. He came prepared, in a heavy duty truck filled with proper equipment. He promptly set everything up and went straight to work on deep cleaning our hardwood floor. It was a large job, so he worked with an additional worker. They took extra efforts and additional time to clean all the stained areas. They even cleaned certain heavily stained areas multiple times. The following morning, they returned as promised to begin the oiling process. When the job was completed, our floors looked amazing! It was as if Don had brought life back into the wood! My husband and I were stunned and could not believe how rich and lively our floors looked! We are very appreciative of Don's professionalism, skills, knowledge, honesty, and excellent work ethic. We will definitely hire Complete Floor Care again. In fact, we plan on hiring Don to clean the travertine tiles in all of our bathrooms in the near future. We have travertine tile that needed cleaning, along with several upholstered furniture pieces that were very dirty -- due to spoiled dogs :). Don gave us a very fair quote, and discussed the pros/cons and cost impact of additional services (like sealing the tile). He wasn't 'salesy' at all. Then, Don and his crew showed up on time, were pleasant, hardworking and efficient. They even did some extras that we hadn't anticipated. The results were wonderful - the floor and furnishings look as good as new. I highly recommend Complete Floor Care, and will use them again. I decided to go old school and got a 1935 Craftsman house in the North Park area....with all the problems of a 1935 house. The house has just been plagued by shoddy home improvements- including the basketball finish on a seriously damaged floor. Where do you find a good wood restorer without the evil price? I called a few of the high rated Yelp! Reviews, but most of these guys just came in looked around and gave a price without really explaining their process. Plus, it's a 1935 Craftsman - you gotta respect the house - just can't let any 'professional' touch it. Enter Don and Complete Floor Care San Diego - you can't miss them - just look for the big white and green truck. Don came in - testing each area with his foot and hands - he was the 'Floor Whisperer'!! He has been doing this since 1982 and his experience shows. It took them three days of brutal sanding followed by more sanding followed by even more sanding. They did it right! Sealed it and topped it off with several coats of strong urethane. Don and his crew did an amazing restoration. 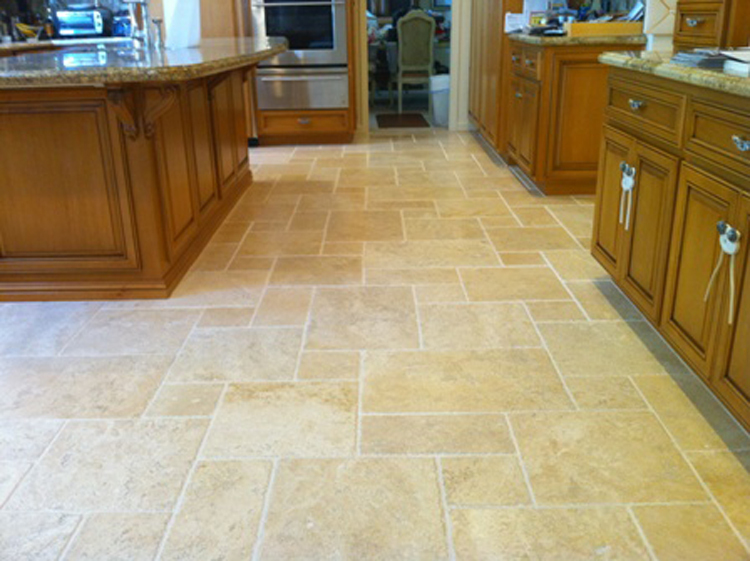 Highly recommend Complete Floor Care San Diego for all your floor, grout, carpet, and wood cleaning/restoration needs. My floors look like they did when the place was built back in '35 --- just a beautiful job! Complete Floor Care did a stellar job scrubbing roughly 1000 sq.ft of grout and porcelain floor tile in our home. After spending a couple hours working at it, he determined that a different solution on the floors would improve the result. So, he started over again! He has a lot of pride in his workmanship and am so thankful that he impressed that upon me while in my home with his thoroughness. Thank you for all your hard work, Don. Don has been cleaning our carpets and upholstery for over 3 years. He is very thorough, highly professional and extremely trustworthy. I am very picky about my carpets and couches; it's very difficult for someone to exceed my expectations - and Don does that every time. He also stripped and refinished our wooden entry way floor two years ago and it still shines. I highly recommend Don. After my construction project was finished I thought my once beautiful bamboo floors were as well. The dry wall dust had dulled them to a milky white finish. I used two types of floor cleaners and had them professionally cleaned. I found Complete Floor Care online yesterday and requested an appointment ASAP. Don came today and restored them to their original luster!!! He was such a gentleman. He assisted me move my furniture back in place. This company is a true find! Amazing job on our very dirty floors! 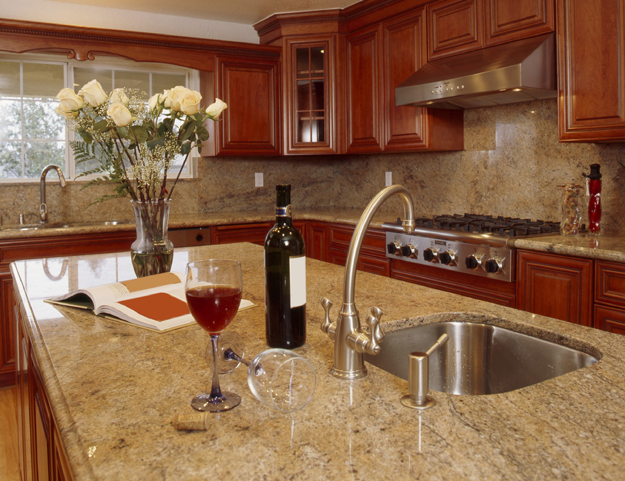 Also cleaned our granite countertops. Would recommend Don and his team highly!! Don and his helper cleaned all our carpets and tile floors. Don removed terrible stains (puppy and shoe polish) before cleaning. Nobody has been able to do this before. He took his time and after cleaning the tile floors, applied grout sealer. His price was absolutely competitive with other carpet and tile cleaners, but since he was the sole owner of the business, I assumed he'd take more time and do a better job. I was right. Based on the other Yelp reviews, I'll soon have Don over to work on our hardwood floors. Hire Don....You will be very satisfied. He is more thorough than most in all areas including results, pricing, etc. He gets our future business!!! 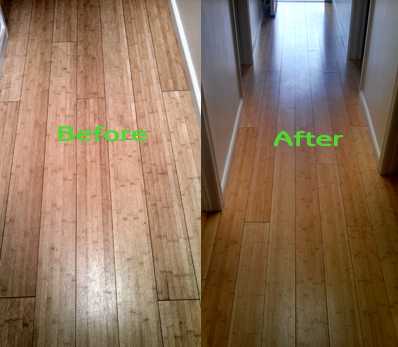 Re-doing your hard wood floors is such a daunting task for most, but not for Don at Complete Floor Care. He did an amazing job with our floors and I get nothing but compliments on them. He was prompt, available, attentive, and flexible. Our floors look GREAT! Don at Complete Floor Care worked magic on my engineered hardwood floors! I have a coastal rental property that has light hardwood floors that looked awful after 2 tenants and lots of dirt and worn finish. I was given a quote from another flooring company for $5400 and was told I had to sand and refinish the floors. Don came out to give me a quote and said he could deep clean it and put a coat of finish on it for a fraction of the other quote. He restored the floors from dirty and worn to shiny and clean! He is very professional and dedicated to giving great service and a great end product. He served in the Marine Corps for 6 years so I knew he had to be a good guy! I highly recommend Don and his company. The project turned out better than my expectations. Don matched the old grout with new, then stripped, cleaned and resealed the floor leaving its old charm and character. The price was fair, too. Hire Don. Don don't say much but he works like a bull and the good thing that he explains what he doing. I had first opted for a general service, after he got to my house he showed me that in 15 years of not doing anything what could happen if we did not address the job fully. I did not feel "up sold" I felt like he educated me and then gave me what I consider a fair price since he spent 4 hours one day and another 4 hours the next! It was a lot of work. My kitchen counter tops look like new. I will use Don to do my rugs on the second floor next. Complete Floor Care Did a great job of fixing bathroom tile. My experience with Don Sargent from Complete Floor Care of San Diego was exceptional. He met me at the property on Sunday evening and discussed my situation and what was the best way to handle the project for my needs without spending additional money. Most people would try to sell you more services than was needed, not Don he gave me guidance in the right direction. I knew he was the person for the project and we scheduled a date for the work. He got to the job when he said he would be here. Very polite and professional. Did a fantastic job on the floors. Would recommend him to everyone. Complete Floor Care team was very courteous and professional. They got the job done for the right. Very polite and hard working, Complete Floor Care did a great job. Complete Floor Care of San Diego came out to give us an estimate for cleaning the Orange GLO residue off our 50 year old hardwood floors. He said it would take about 3-4 hours. They arrived at 9AM and worked until 4 PM because of the excessive build-up and still only charged me the original estimate he gave me. Our floors look better than they did the day after we refinished them 10 years ago. The end product exceeded my expectations. COIT came out and told me the same job would be hundreds more. My recommendation is stay away from the big companies and go with Don who has pride in his work and the reputation of his company. Restore old Mexican tile patio - looks fabulous! I like the fact that when you call a company and talk with someone that it is the person himself that comes out and does the work and it is not handed off to someone else. We were very pleased with the work Don Sergeant did on our tile floor in the kitchen and surrounding area in our church. He thoroughly cleaned the floor and then applied a few coats of waxier/sealer, and it looks great! He is very experienced in this arena, and it shows. He was professional, friendly, and did an outstanding job! Complete Floor Care San Diego did a great job! They werre on time, covered areas that were not worked on and did a great job on the tile and grout! I had cleaning company that had cleaned the tile incorrectly and caused the grout to become dark. Complete Floor Care fixed all that. I would highly recommend them. We are very pleased with the outcome of our floors, great job. I would like to say that Complete Floor Care of San Diego did an excellent job on my granite counters this week after our network meeting. I have not had them cleaned professionally or re-sealed since I had them installed since 2003. Yes I have tried the Home Depot kits but it was well worth the money and time to have Don come by and seal the 2 or more slabs of granite that sit in my kitchen. Plus it was such a pleasure to walk into my kitchen for a couple of days and not see papers or appliance all over the counter tops. "Less is More" Less crap showed more counter tops. 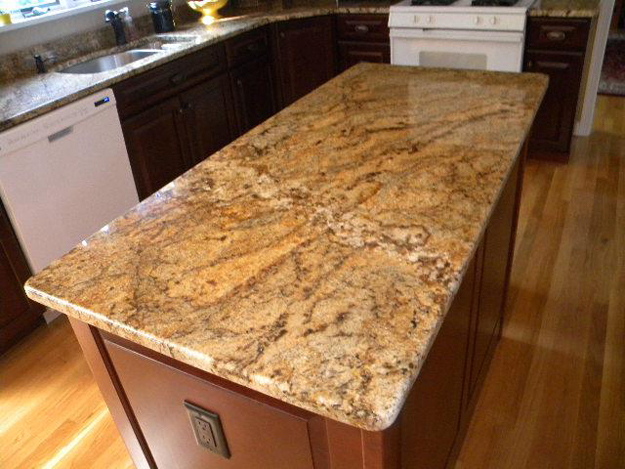 I just wanted to brag and say that I am so pleased and would hire Don back again to seal my counter tops for me again. Or use our easy contact form to schedule an appointment. All of San Diego & North County, Cardiff by the Sea, Del Mar, Encinitas, Escondido, La Jolla, Oceanside, Olivehain, Poway, Rancho Bernardo, Rancho Santa Fe, San Diego, San Marcos, Scripps Ranch, Solana Beach, Vista & Surrounding Areas. Complete List of our San Diego Service Areas Here.